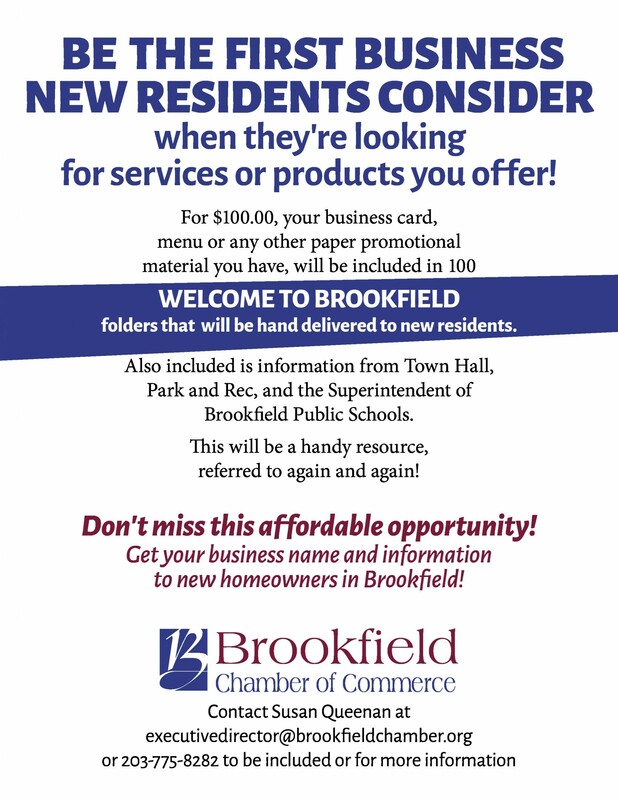 The Marketing Committee is responsible for the print & digital communication tools of the Brookfield Chamber. Currently these include this website, the Inner Chamber Weekly eNewsletter, the quarterly newsletter and the annual directory. To provide member information and advertising opportunities via the Chamber’s website. To provide opportunities to generate business and awareness for members through advertising on the website. To generate revenue for the Chamber. To communicate Chamber events, town news and member activities to the Chamber members. To provide opportunities to members to advertise their business. To generate revenue for the Chamber.. The Digital Marketing committee is always looking for members to assist with updating the website or generating content of interest to the members. Individuals with experience in graphic design, WordPress, copywriting or general marketing are encouraged to volunteer. Currently the annual directory and the quarterly newsletter is going through a re-conceptualization. Once the new concepts are finalized, additional information will be provided. If you would like to volunteer as a committee member, please contact Susan Queenan.